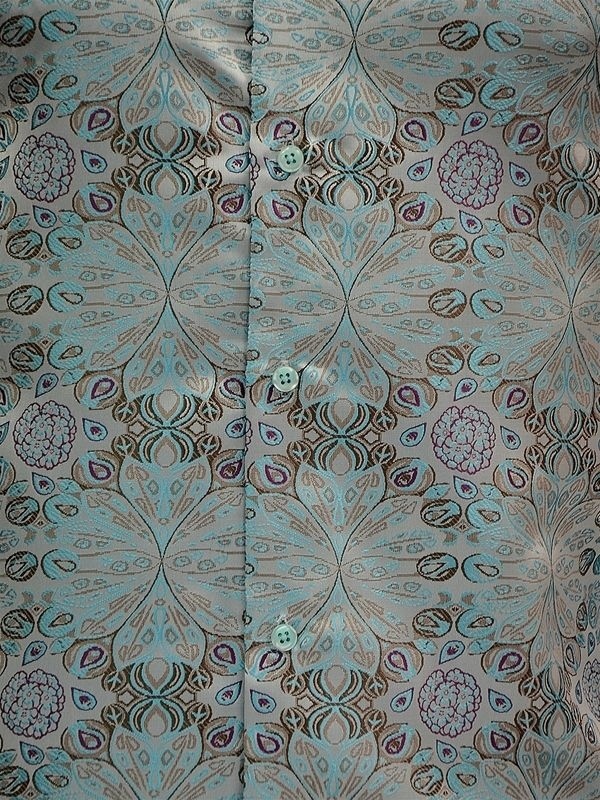 Manzini Grey Teal Purple Mens Trendy Paisley Designer Button Up Trending Shirt! 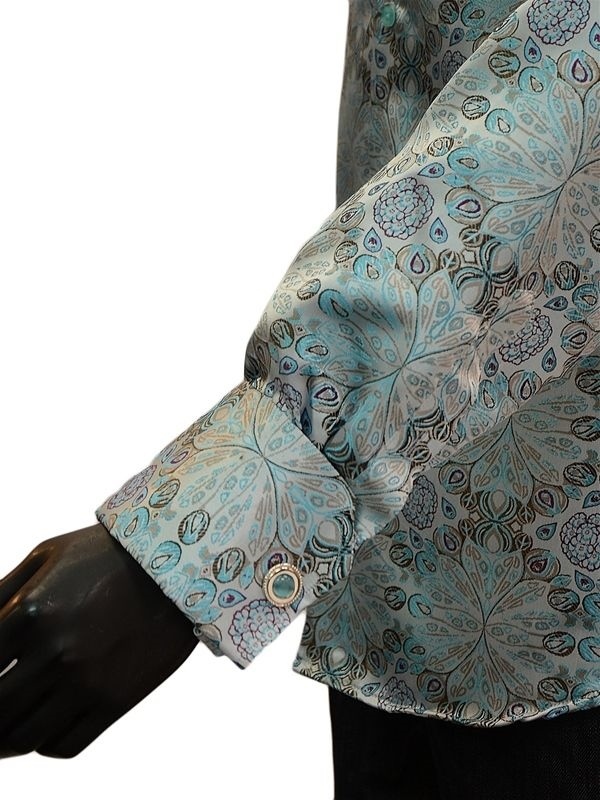 Look like royalty in this silk-like, microfiber mens long sleeves shirt by Manzini. The intricate design is unlike anything we've seen before. 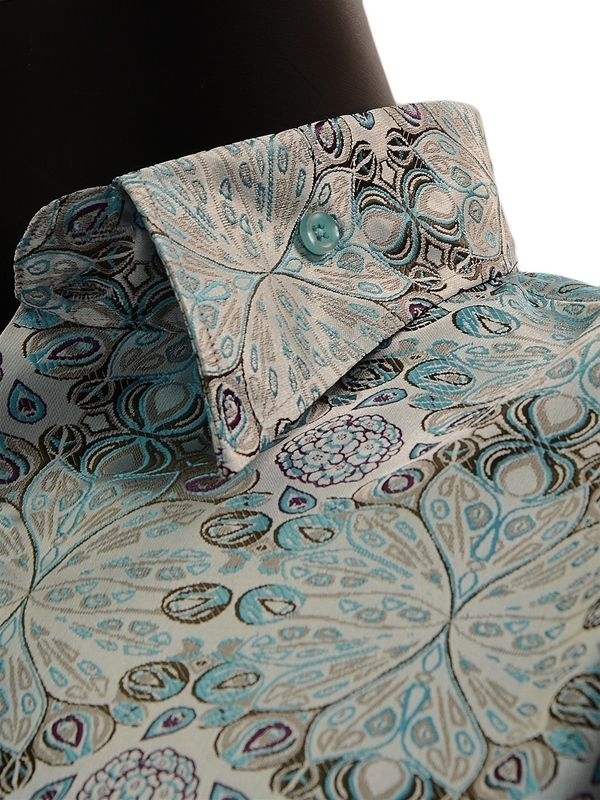 Designed with a high collar with buttons on each side of the neck to give it the ‘attitude’ look and woven in a teal, grey and purple paisley jacquard intricate pattern. Layer this unique button up shirt under vests and blazers, or wear it alone to show off the allover design. You are going to love the gorgeous sheen of this rich-looking material.